Deep within every heart is a yearning for more. Two brothers, living in a tyrannical kingdom struggling against poverty, discover a rare ancient text that paints a picture of untold riches and community harmony. A way of life so different and alluring, the two brothers immediately decide to leave their kingdom in hopes they can find such a life for themselves. Following the few clues provided in the text, the brothers embark on the journey of a lifetime. The choice to believe there may be something better outside the comfort of what they know was an easy one. Learning to trust themselves and use the text’s cryptic guidance proves harder. They journey through three lands, meeting strangers who each give a gift reflective of the land in which they reside. 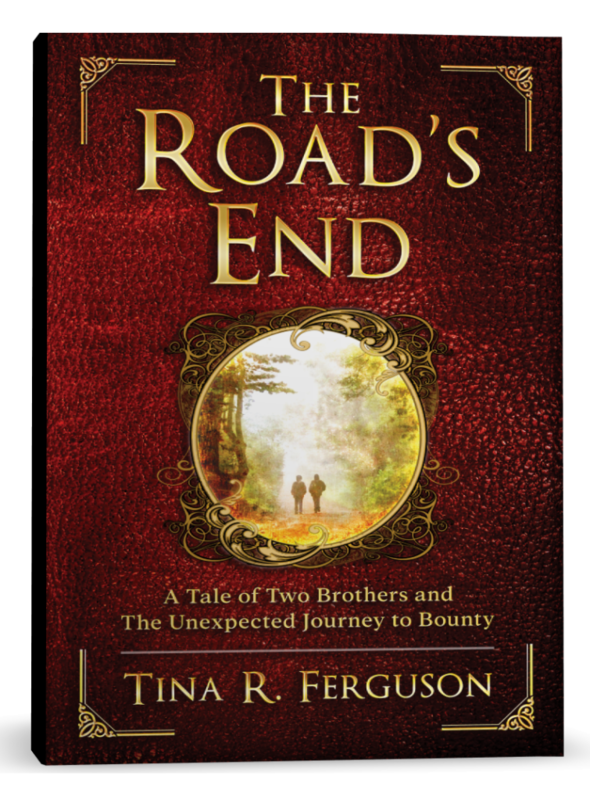 Soon, the brothers find themselves at a crossroad between the heart that knows unseen riches exist and the mind that clings to security that can only be found in what can be seen and felt. Do they stay in the land that has provided them security in the form of gold, food and shelter, or do they risk it all in faith for all the riches they cannot yet see but have been promised by every stranger along the way? Three lands. Two brothers. One extraordinary journey. What will they discover at the road’s end? Lost, paralyzed and terrified of the mess her life was in, award-winning writer and business strategist Tina Ferguson found herself deep in the ditch. She had never faced such crisis in her life and was ill-prepared to deal with her feelings of hopelessness and despair. Open to any help to release her from the abyss, she found answers in the most unlikely places. The program in this book emerged as she came to heal her life and assist thousands of others to do the same. 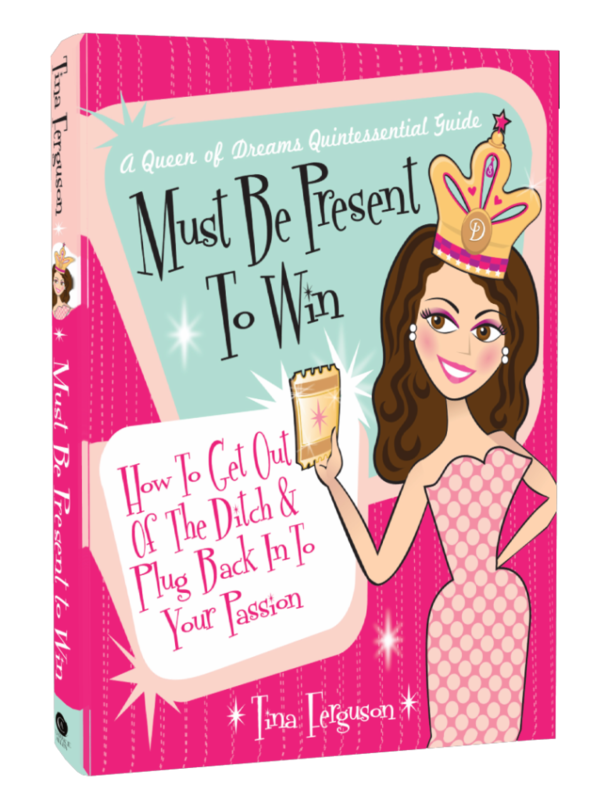 Part inspiration, part transformation, part how-to guide, part memoir, Must Be Present to Win is a practical life-activation guide that assures people in the ditch that where they are is the best place to start to create their very best life. Inspired by her own experiences, Ferguson wants others to know that the ditch is an invitation and a gift to claim. The book is divided into four parts: Getting Out of the Ditch, Discovering Passion in the Present, Claiming the Winning Ticket, and Living Life as a Grand Adventure. Filled with nearly 100 practical, road-tested, easy-to-use tools, which are indexed for easy reference, the book provides a self-help road map for people to navigate out of the ditch and back in to their life. Ferguson offers an emergency toolkit for people who want to get out of the ditch fast and real-world client stories to provide steady inspiration and hope. This book is full of heart and inspiration for those who want to know it is possible to live life free of fear, depression and despair. How Would Your Life Change If You Could Finally Forgive and Forget What Others Have Done to You? What Would Change In Your Life If You Could Finally Forgive Yourself? Would You Be Happier If You Could Let Go of The Past Once and For All? 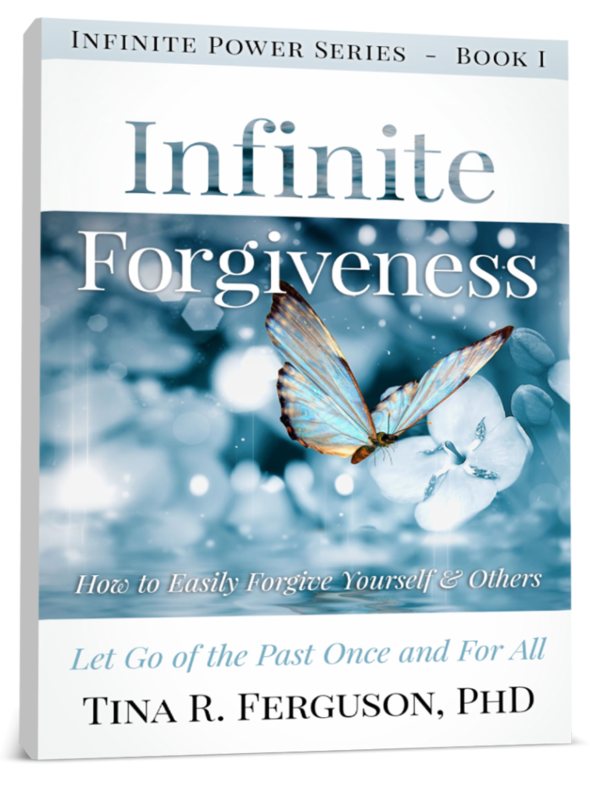 Learn how to forgive yourself and others with this easy method anyone can use to let go of the past. If you are looking for a new way to reach peace in your heart, then this book may be for you. The simple forgiveness technique that works every time to release feelings of anger and upset. How you can use this forgiveness meditation to fully forgive in as little as five minutes – anytime, anywhere. A method to free yourself from past wounds – once and for all. Easy prayers for forgiveness and greater ease in dealing with difficult situations. If you’ve tried to forgive yourself and others and have failed to reach peace, try once more and see what can happen!